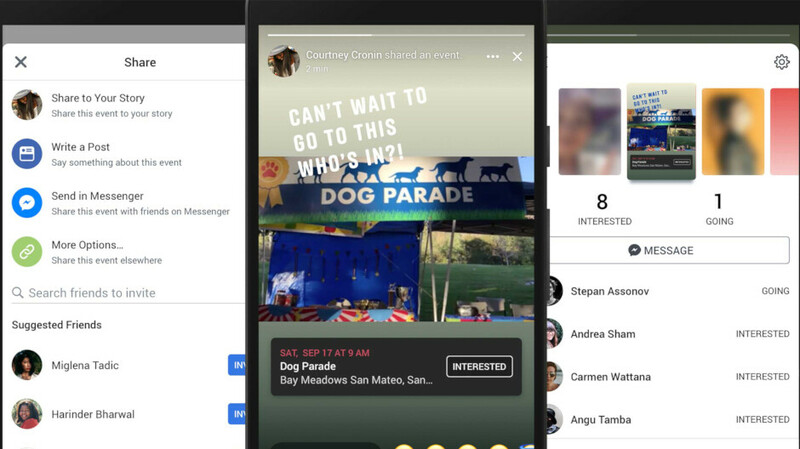 Facebook announced earlier today that it's bringing a new feature to users that will allow them to share events in Stories. The new feature was initially tested last month in the United States, Mexico and Brazil, but the ability to share events is now being rolled out globally, not just in those countries. If you're a dedicated Facebook user and want to try out the new feature, here is what you have to do. First off, you'll have to head to an event page where you should see a new “Share” option under the date and time of the event. Tap on the Share button and then choose the “Share Your Story” option. All those who see the event appearing on their Facebook feed in a Story format can tap on “Interested” if they want to go to the same event. Another option to send a group message to even more friends who wish to attend the event will then be available as well. According to Facebook, the global roll-out of the ability to share events in Stories will happen gradually, so be patient if you can't use it right away.